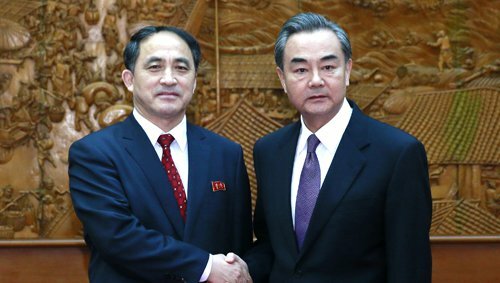 Ri Kil-song, North Korea’s vice foreign minister, has exchanged routine pleasantries on a visit to Beijing over the past week lauding their “traditional friendship”; relations between the two, however, have become icy. This week’s visit, which wraps up on Saturday, comes just days after Beijing announced it had suspended North Korean coal imports – a critical lifeline for the regime. China’s foreign ministry also issued mild reprimands in response to North Korea’s ballistic missile test in mid-February. The assassination of Kim Jong-nam has also strained ties. The half-brother of North Korea’s 33-year old ruler had been living in the Chinese-administered region of Macau, reportedly under Beijing’s protection. His brazen murder in a Malaysian airport – just outside the reach of Chinese officials – has ruffled feathers. Despite the turbulence, mutual strategic interests between China and North Korea will preserve the current relationship dynamics. Both neighbours strongly oppose the US missile defence system currently being installed in South Korea. For its part, Beijing wants the status quo to endure – both to prevent a humanitarian catastrophe along its border and to maintain a buffer state between itself and South Korea, where 30,000 US troops are stationed.